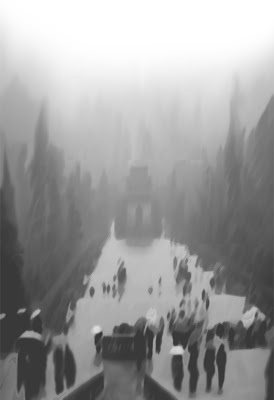 This image seems hauntingly surreal, yet it is based on a photograph of an actual place. It is a computer graphic of an area which takes visitors to Dr Sun Yat-sen's Mausoleum at the Zhong Mountain Scenic Area in the east suburb of Nanjing City, Jiangsu Province. The mausoleum of Dr Sun, widely known as the father of the Republic of China, is considered the Holy Land of both local and overseas Chinese. Don't miss it when you are in Nanjing. The CG was created by Japanese creativity teacher Shunya Susuki in November, last year. Susuki, who is also an architect and urban planner, creates and innovates during his spare time. Thanks for sharing. And i will!